The Joomla! 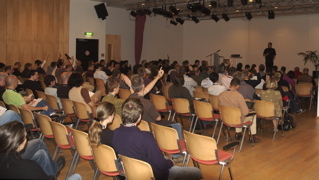 open source content management project unveiled its speakers and panelists for the SYSTEMS 2006 conference in Munich Germany on October 23rd – 27th at the New Munich Trade Fair Centre in Munich/Riem. SYSTEMS is the leading Business-to-Business Trade Fair for IT, Media and Communications and is held in Munich, Europe's largest high-tech and media location. This year, the conference expects over 1000 exhibitors and 50,000 visitors. Exactly one year ago, Joomla! 1.0 was released. Today, Joomla! releases the next generation framework built from the ground up. Joomla! 1.5 beta delivers more simplicity for the user and much more power for developers. The innovation and skill of our development team is clearly setting higher and higher standards. But before we get into reams of detail about just how good Joomla! 1.5 beta is, remember this is a beta and is not yet ready for use on a production website. We need the community to roll up its sleeves and seek out bugs (and feed this back to the development working group), before we enter the release candidate phase. Joomla! 1.5 beta marks the most significant watershed in Joomla's history. This effort represents a complete refactoring of the Joomla! codebase and leverages a new API that allows developers to deliver more robust and innovative applications than ever before. Joomla! 1.5 means freedom of choice: you choose how it operates, you choose how it integrates, you choose what the output is ... you choose how users are authenticated. For both the user and the developer, Joomla! 1.5 beta is a simplified yet more powerful system, and from the developer's perspective, provides them with the freedom and flexibility to build anything they want. Lead developer Johan Janssens said 12 October is a giant step for the Joomlasphere! "Open source projects are delivering incredible power and features to end users — we've taken things a step further by building an opportunity for unlimited extendibility for developers," he said. "Once developers get to see how easily 1.5 can leverage their own ideas as plugins, they will certainly be a big part of continuing Joomla's incredible growth. You only need to take a look at the Joomlasphere to understand how amazing the future can be." Joomla! lead developer Johan Janssens announced the official Joomla! 1.5 Beta release date at the German Joomla! Day, in Bonn, today. The announcement marks the most significant milestone in Joomla's short history. "We've decided to release on the 12th of October — exactly one year since we wrote our first line of Joomla! code," Johan said. "The coding effort by the 1.5 dev team has been amazing," he added. "We have built this release from the ground up ... this represents 127,000 lines of code and had this been a commercial venture, about 32 man years of effort equivalent to $1.7 million in wages." These figures put the value of the core team's work into sharp perspective. The enthusiastic German Joomla! Day attendees listened intently as Johan made his best attempt at a Steve Jobs-style "one more thing" in announcing the release date while previewing the Beta to them. We caught up with one of the core developers, Louis Landry, who wished everyone well via his mobile phone (Louis had been enjoying a well-deserved day at the beach). "I hope everyone has as much fun in Bonn as we did in San Francisco (LinuxWorld) and find as many friends as we found," Louis said. "Joomla! 1.5 means freedom of choice ... you choose how it operates, you choose how it integrates ... you choose what the output is, you choose how users are authenticated," he said. "It's a simplified but more powerful system. As a developer, it gives me the freedom and flexibility to build anything I want." On May 23rd, 2006, the Joomla! team joined the Google Summer of Code program which enables student developers to create new open source applications or to assist already established open source projects. Project management was done by Wilco Jansen and Louis Landry with background support of Johan Janssens. Beside them, a team of mentors selected six projects and six students to participate in the development of specific functionality which will be important for future releases of Joomla!. Development was performed using the pre-released version of Joomla! 1.5. For their effort, the students earned $4,500 USD and participated in the development of new functionality for future releases of Joomla! The selected projects were centered around Web services, integration, security, database abstraction and Web accessibility. This effort exploited some of the exciting new capabilities which are coming in Joomla! 1.5 due later in 2006. Joomla! has been recognised by professionals and users alike by making the last phase of Packt's Open Source CMS Award Finals. We know we're the most popular Open Source CMS based on user numbers but now it's time for all Joomla! fans to demonstrate their support. You can read on or VOTE NOW!!! Joomla! is competing against co-nominees e107, Drupal, Plone and Xoops, for the award. Packt Publishing announced the final phase of this competition earlier this month and has today opened up a page on its website where you can show your support (you've already clicked the VOTE NOW!!! link haven't you?). Besides, by making the effort, you might just win yourself a cool iPod Nano! Packt, through its suite of tutorial publications, provides a great deal of support to the Open Source Community. And, through this inaugural award, will present the winning CMS with US $5,000. Second place will get US $3,000 and the third placed finalist will get US $2,000. So remember: By voting for Joomla! you will not only help raise its profile and provide the chance for us to win some prize money, you get the chance to win an Apple iPod. But there's more ... while we've got you in a voting frame of mind, you should also vote for the UK Linux User Awards (UK Linux & Open Source Awards 2006). Thanks in advance for taking some time to demonstrate Joomla! 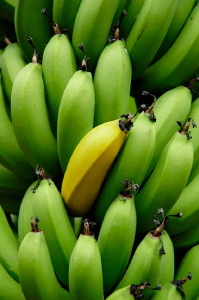 does stick out from the bunch.